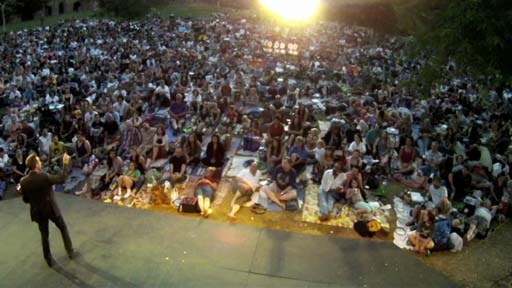 Romeo & Juliet and Much Ado About Nothing will be the entertainment for a summer night in Griffith Park when Independent Shakespeare Co. opens its 2015 season of the Griffith Park Free Shakespeare Festival on June 25. Also returning this season is the Salon Series, discussions led by experts on topics related to Shakespeare as well as Festival Arts Partners, curtain-raising performances by local musicians, dancers and eclectic performing artists. ISC will also present special, free Wednesday events at Independent Studio, an intimate performance space at Atwater Crossing. Specific dates for performances, education workshops and special events will be released this spring. ISC is the recipient of the 2015 Los Angeles Drama Critics Circle Margaret Harford Award for sustained excellence in theatre, and also the recipient of a 2015 National Endowment for the Arts Grant Award. To contribute to ISC’s fundraising campaign go to http://isc2015.causevox.com/.